In Italian, Forza stands for "strength & power". 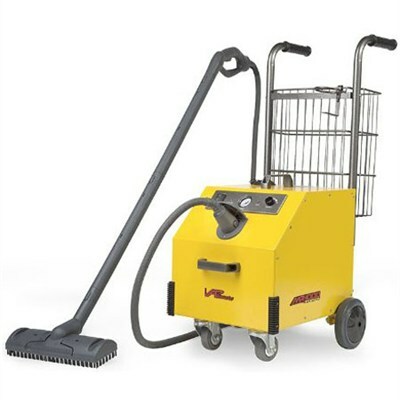 Performance, endurance, and total value - are the crown features of the MR-1000 Forza Commercial Grade Steam Cleaning System. Over two years of intensive development and testing were dedicated to create its robust design, resulting in one of the most innovative steam cleaners the industry has ever seen. The Forza infuses custom Italian manufactured CEME brand internal components with commercial grade powder coated steel construction, continuous steam flow, computer controlled operation, and the largest selection of included accessories on the market. A specially designed extra large stainless steel boiler with 1700-Watt heater and 90 psi steam output enhance the power and execution of this world-class product.